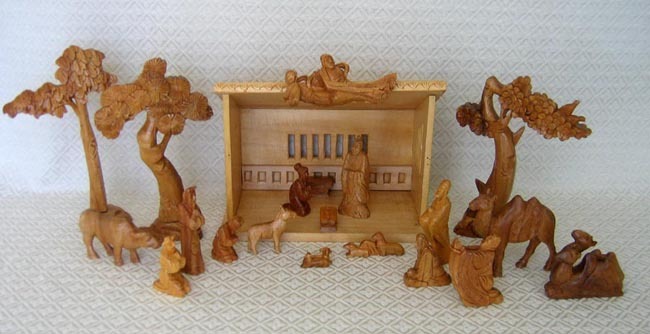 This Nativity scene was hand-carved by a Chinese Christian couple living in China’s Zhejiang province, an area famous for all types of wood carving. The figures and stable are carved from camphor wood. The stable measures 7.75 inches tall by 10 inches wide. The standing shepherd and wise man measure 4 inches tall.